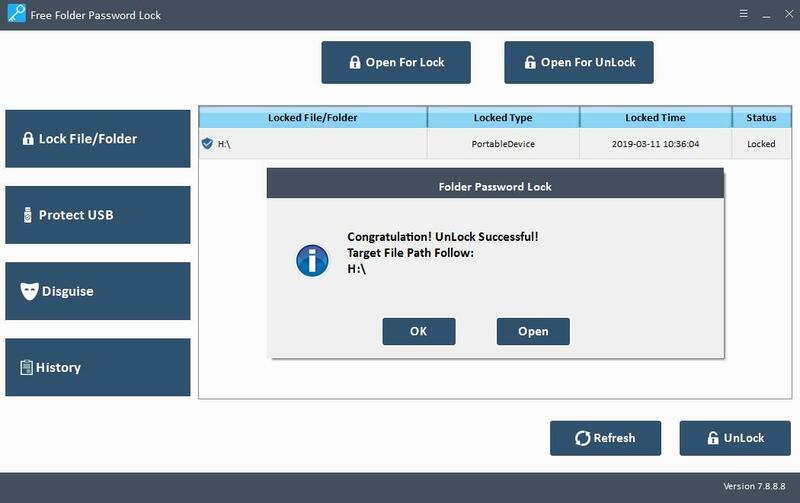 Free Folder Password Lock is encryption software for Windows 10/8/7/Vista/XP. 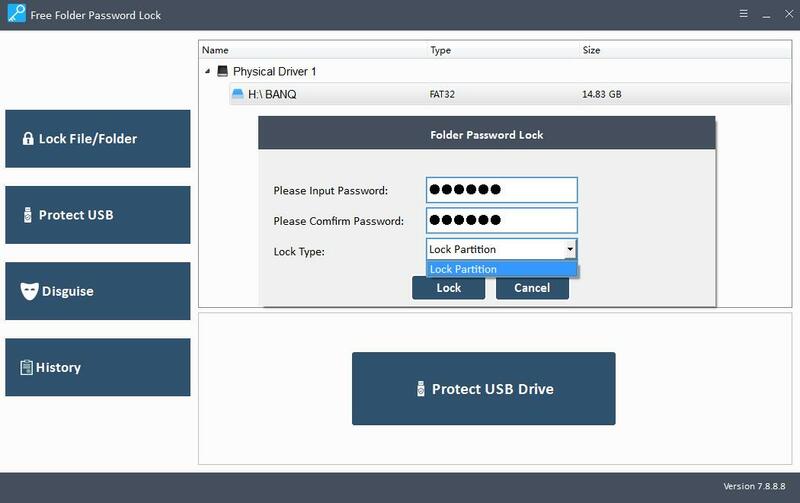 It provides you the solution to keep your valuable information secure. 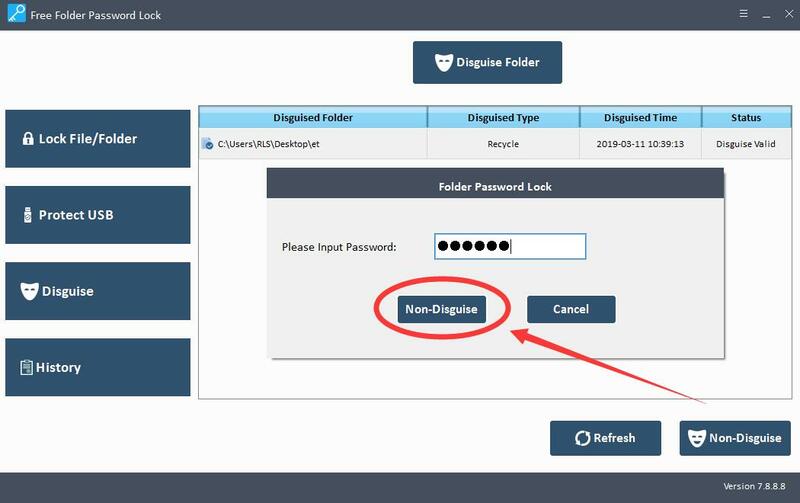 To password protect your files and folders in Windows you need to use a third-party program like Free Folder Password Lock. Download, install and launch Free Folder Password Lock on your computer. Click "Lock File/Folder", and then click "Open for Lock" button to select a file or folder from computer. After that, Input password and select lock type. 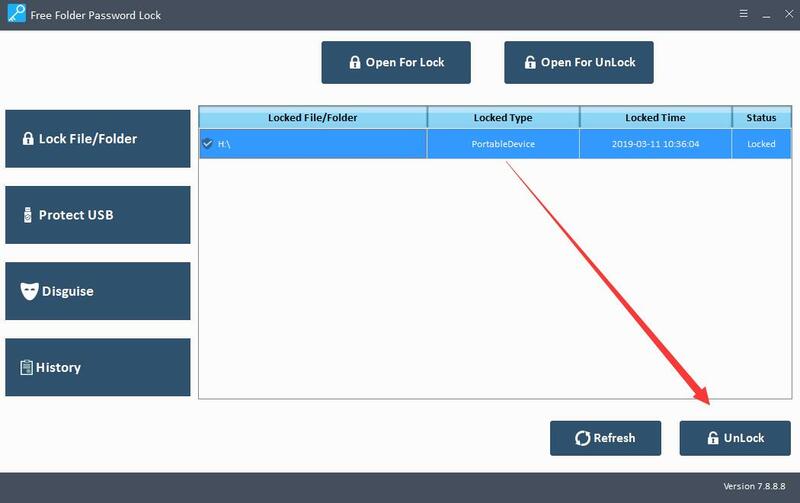 Select locked file and click "Unlock" button, input password to unlock file. 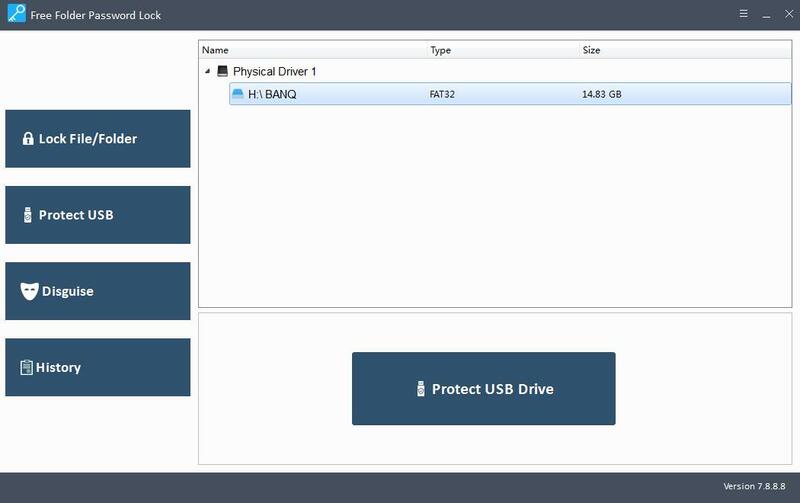 Click "Protect USB" button, select a drive and click "Password USB Drive" button, input password and click "Lock" button. 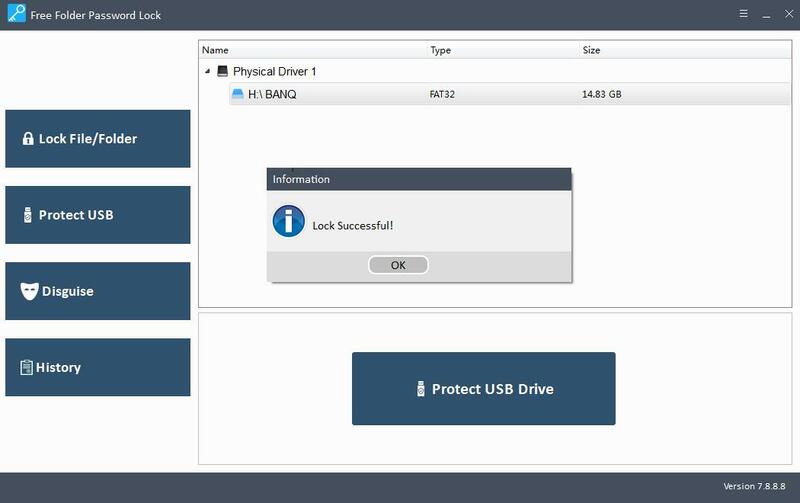 Select the locked drive and click "Unlock" to unlock a USB Drive. 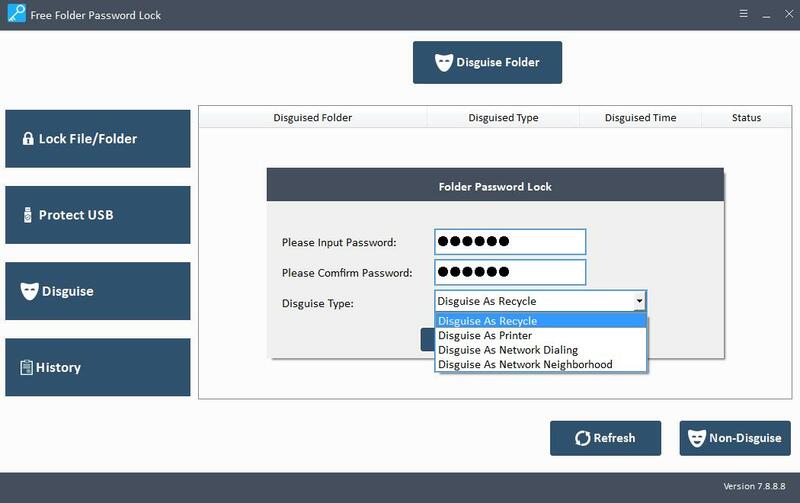 Click "Disguise" button and click "Disguise Folder", select a folder, input password and then choose disguise type: Recycle, Printer, Network Dialing or Network Neighborhood. 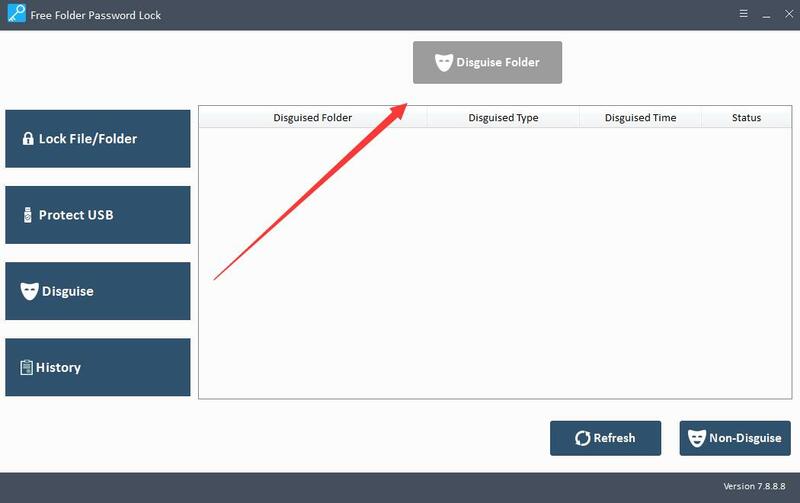 Select disguised folder and click "Non-Disguise" button to view folder. 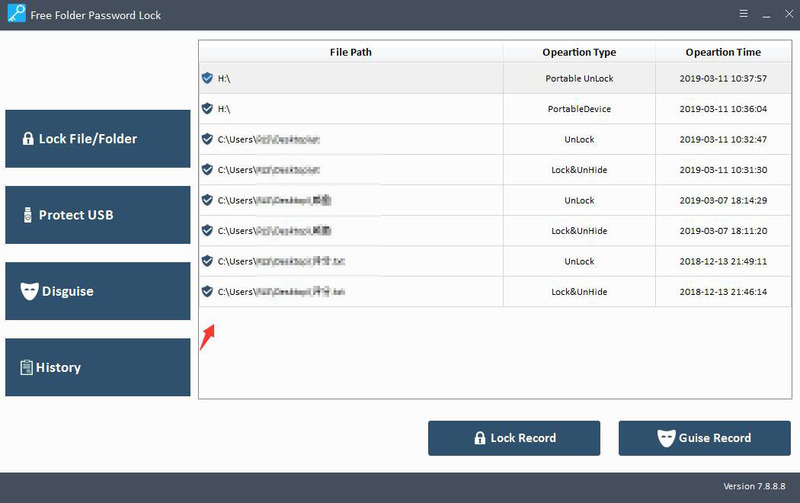 Click "History" button to browse your data encryption records. 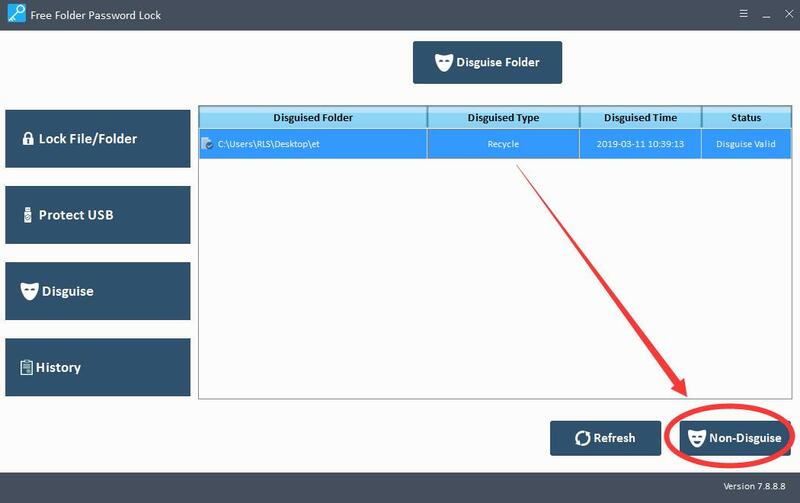 Jessica - Best Free PDF Password Remover software to remove Adobe PDF files Owner Password. 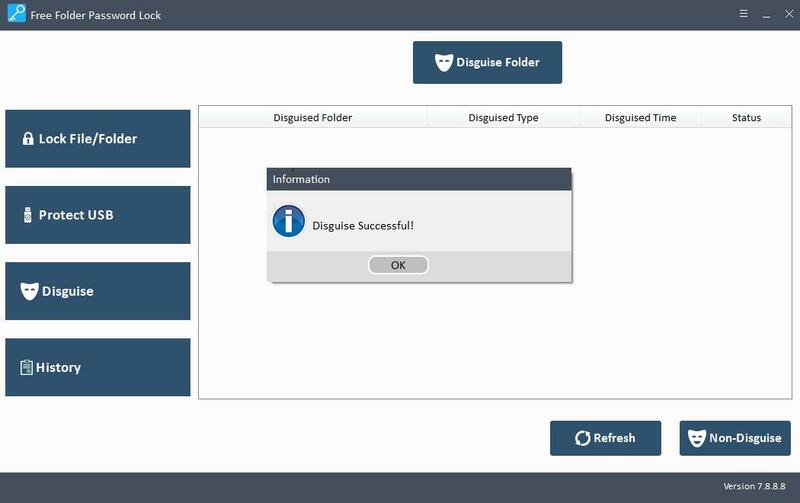 Batch removes PD restriction to copy, edit, and print PDF without PDF Permissions/Owner Password. 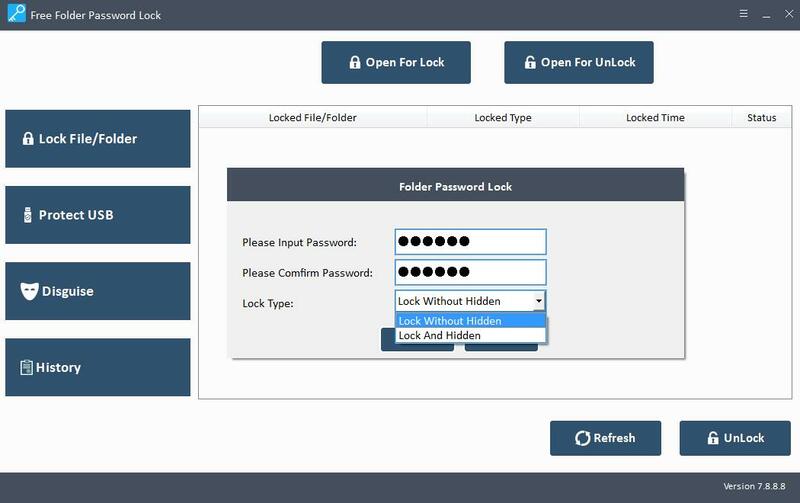 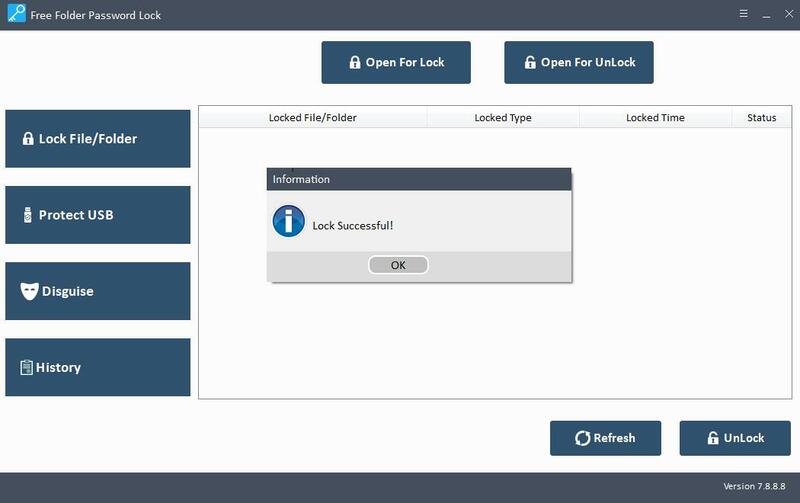 Savannah - Free Folder Password Lock provides you the best way to protect your files and folders with password.